Don’t believe the hype: a “dress shirt” isn’t just for formal attire. So if you think this key closet staple is too stuffy for your style, think again. See our expert gamechangers to dress down your dress shirt and be the most clever-looking guy in the room. The dress shirt’s been held down for far too long. Keep reading for 3 unconventional ways to wear the coolest piece you already own. Extend the range of a spread-collar dress shirt with this down-for-whatever look. 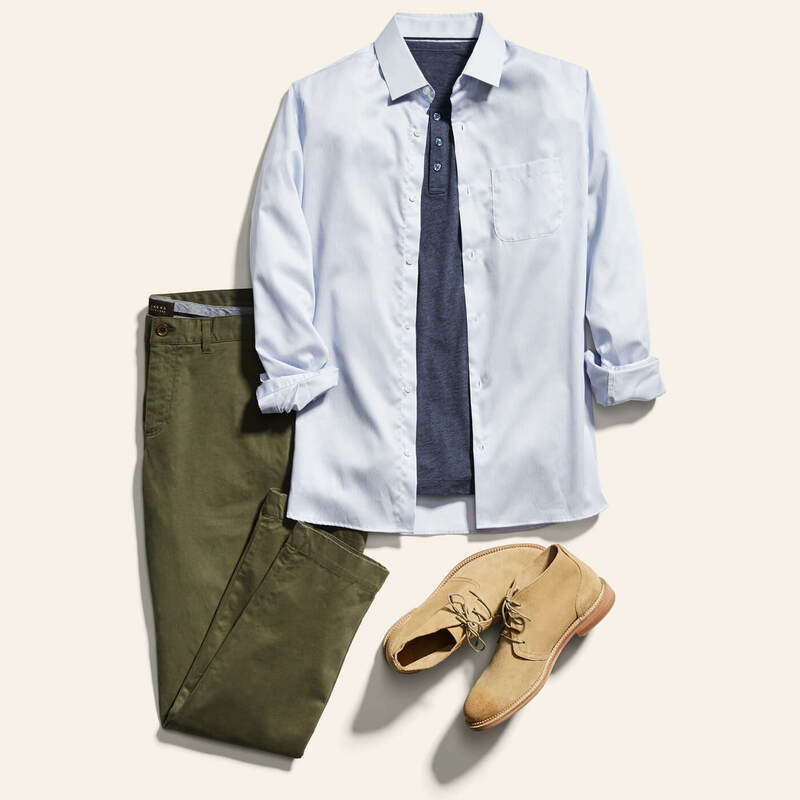 Just start with olive chinos and layer with a rugged short-sleeve henley. Just style your untucked dress shirt as a jacket. Stylist pro tip: Take a tonal approach to your shirt and henley picks for a bold, crisp pairing. 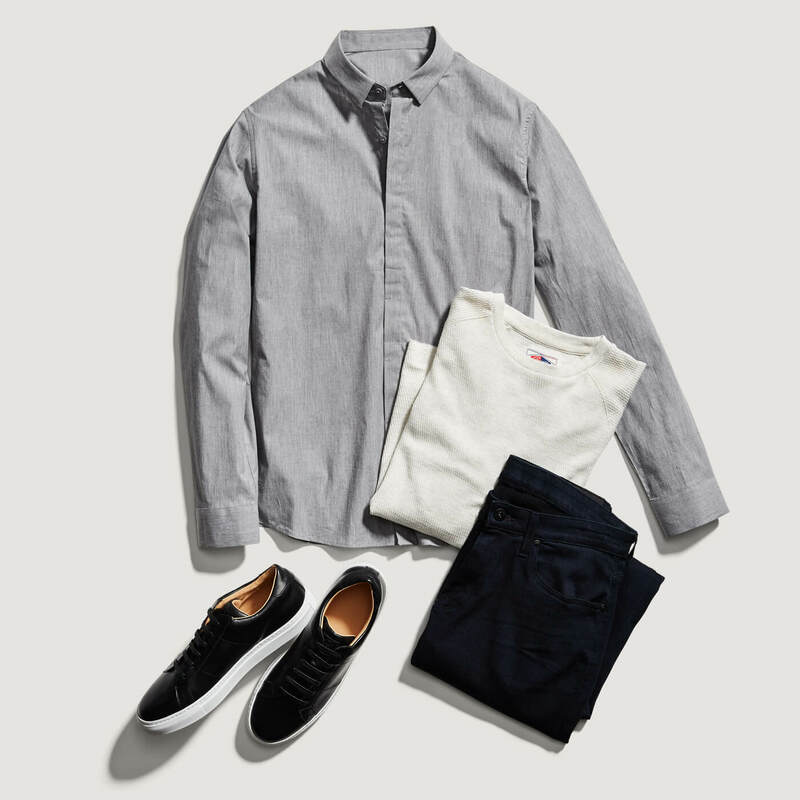 Up the edge on your basic gray dress shirt with our Stylist’s modern take. Just pair tailored dark jeans, your go-with-anything workhorse, for a sleek, simple look that has massive appeal. Then add a neutral crewneck sweatshirt as your laid-back essential that balances the outfit. Keep the city vibes on-point with black leather sneaks. Stylist pro tip: Old style rules are out. White can totally be worn past Labor Day. Yep, a dress shirt can feel leisurely right at home with this stress-free pairing. 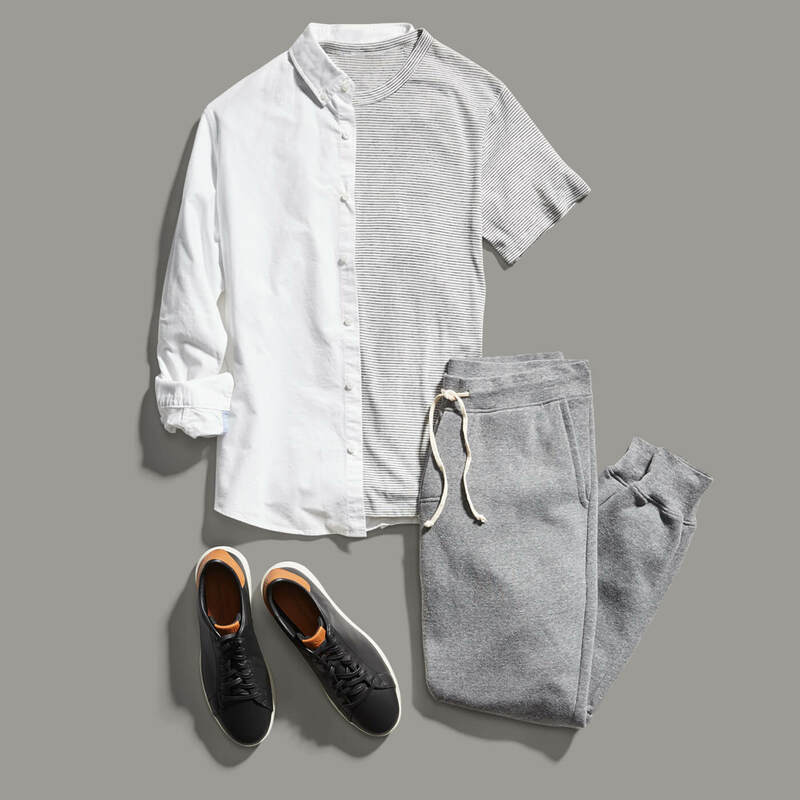 Take your button-down dress shirt into the comfort zone by wearing with jogger pants. Aim for gray—a color that seamlessly elevates any look—in a light fabric. Throw in your softest t-shirt and favorite shell-tops. Stylist Tip: The cut of your joggers can easily nail or kill your outfit. Make sure your perfect pair is tapered and trim. How are you dressing down your dress shirts? Still have other questions? Get in touch with a Stylist.